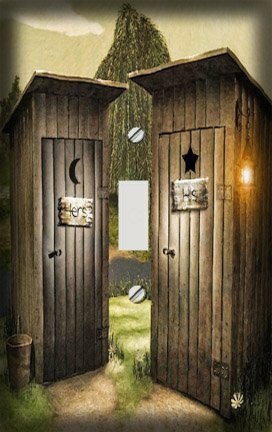 For the cutest and most unique primitive outhouse bathroom decor ideas, you simply need keep reading here. 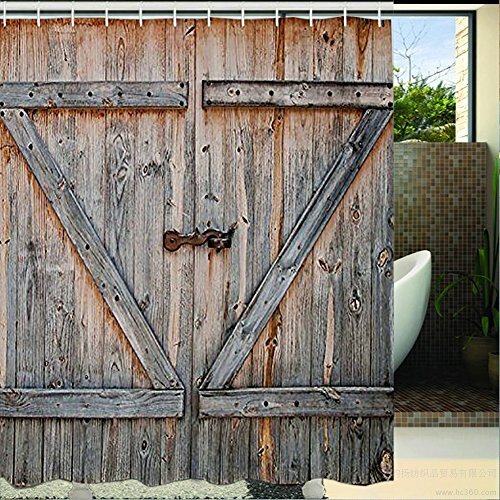 My favorite outhouse bathroom decorating ideas are on this page. And I salute you for having such a great sense of humor. 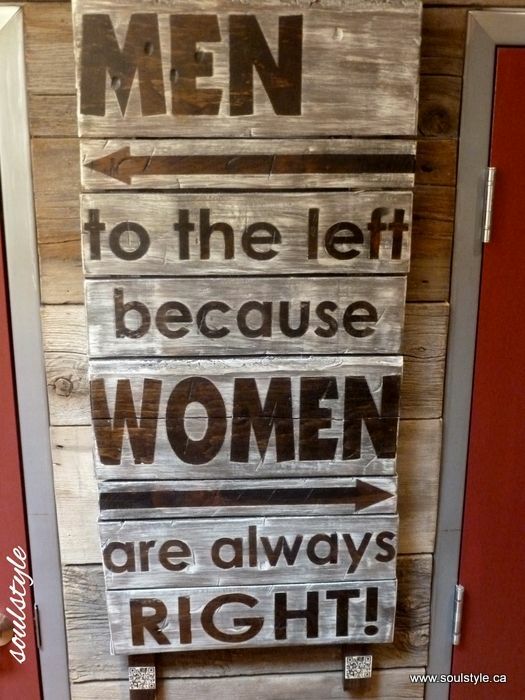 Enjoy creating your outhouse bathroom and laugh as you work. Your guests will love it! Note: The large photos on this page are cute ideas from Pinterest. I appreciate the ability to share those special pins. Click on a picture to give these creative pinners some Pinterest love. It’s all in the details – and with this bathroom theme, you can have fun and do all sorts of quirky things. 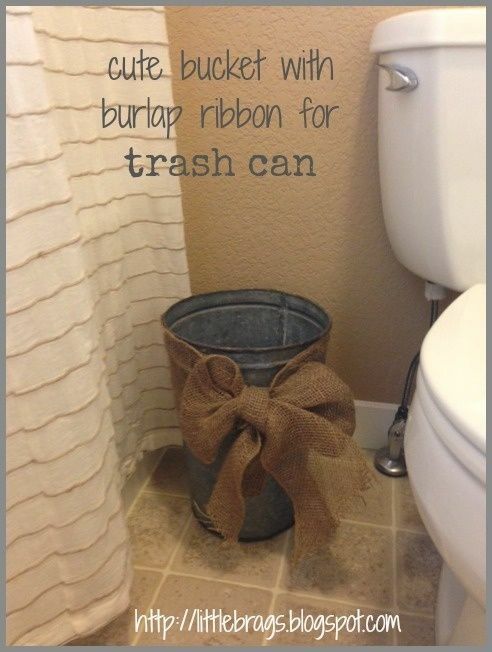 This bucket with the burlap ribbon makes a cute trashcan — and is easy to do. The same bucket idea would work for those bathroom magazines in the outhouse library. 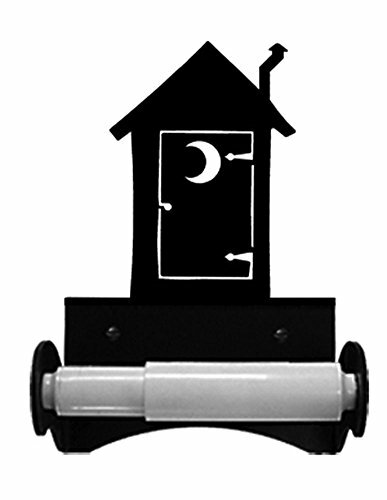 Are you daring enough to paint a crescent moon on the bathroom door? 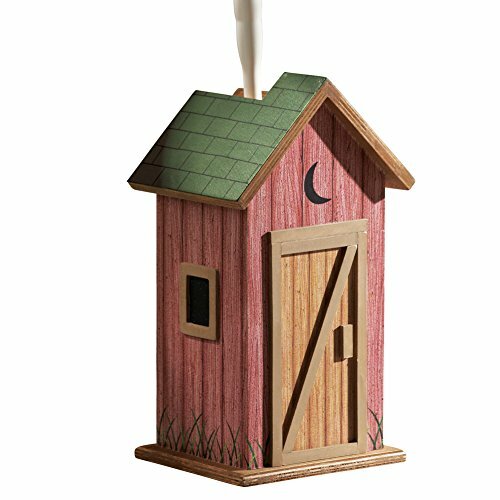 If your family does not object to your outhouse bathroom idea, they probably will love having a crescent moon on the door. Find a vintage Sears catalog to tuck in the bathroom, too. Do you know what the catalog is for? Have a brainstorming session with your family or best friend. Prepare to laugh — hilariously. You will be surprised at the ideas that come out of that session. 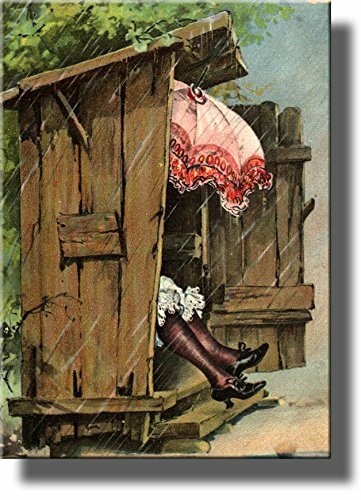 Outhouse bathrooms are funny now– even if they were not so funny when they were a necessity. 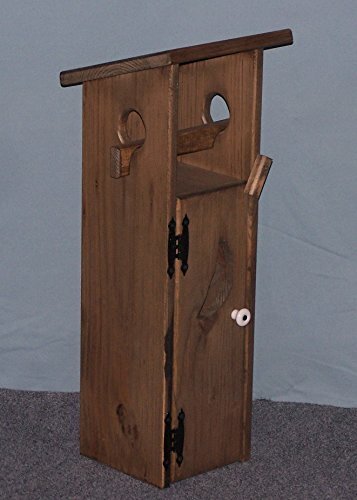 One of my favorite outhouse bathroom storage ideas is another one I found on Pinterest. 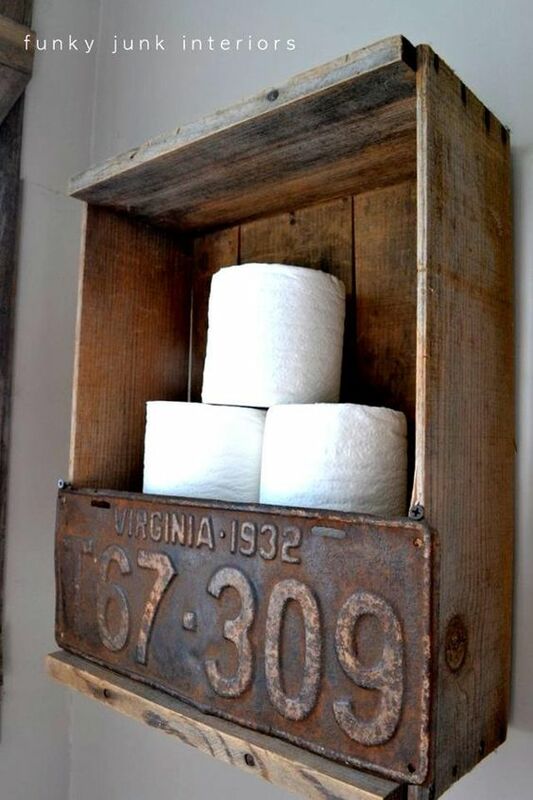 It would be simple to create a wooden box with an old license plate to secure the toilet tissue or towels. You might even find old license plates in your grandma’s garage. 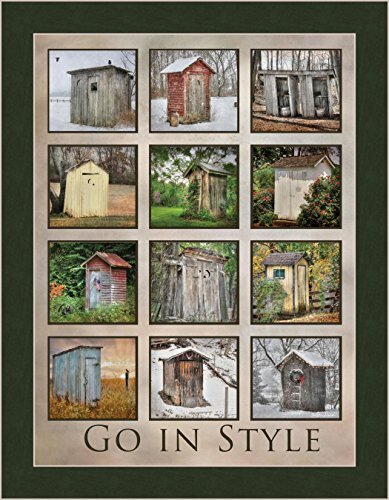 The possibilities for outhouse bathroom wall art are endless. Be as discreet or openly naughty as you wish, but do select items that make you smile. 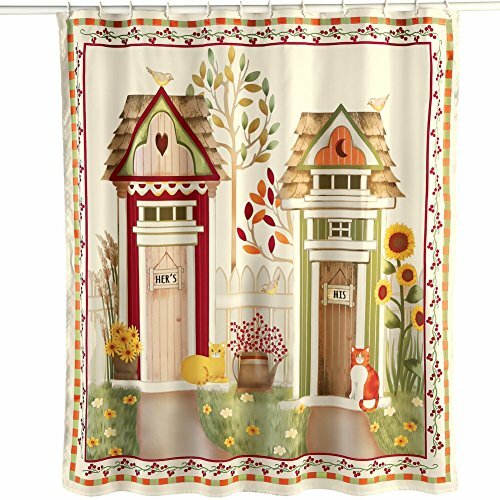 The basics – from themed shower curtains to hand towels and bathmats can be quickly purchased at Amazon. Click on your favorites to read details and reviews. Shopping at Amazon is fun and fast. 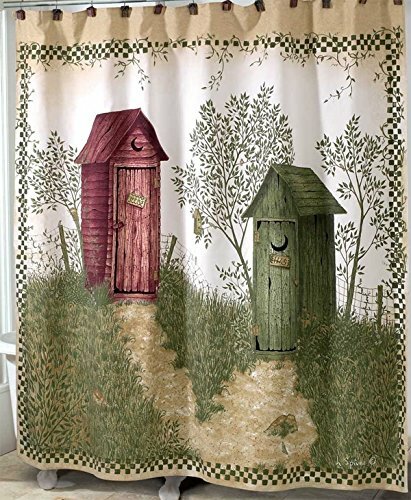 While you are painting and creating your outhouse crafts, your shower curtain and towels will be on the way to your house. 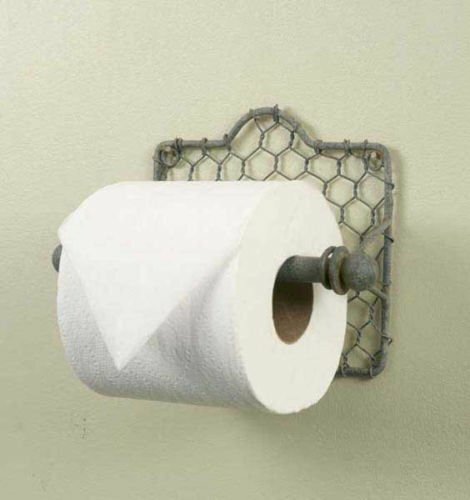 Bathroom decorating themes are easy with the help of online shopping! Want even more ideas? This video is literally one idea right after the other. 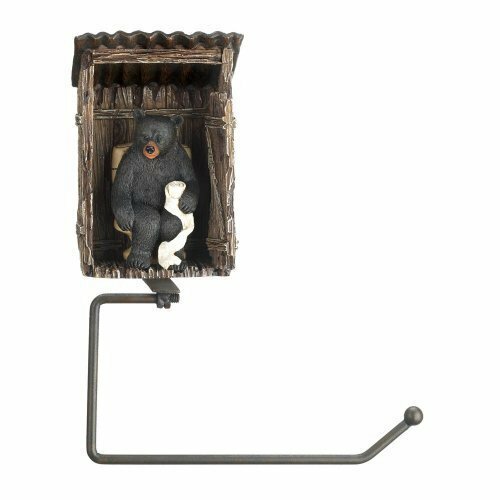 Great for brainstorming outhouse bathroom ideas.